LACE Housing recently held a very successful opening event for their new scheme of 17 retirement apartments and a holiday home at Scarbrough Avenue, Skegness. The £2m development has been named Chapman Court in honour of the late Ron Chapman, a former lifeboatman. Ron was an experienced lifeboat crew member who served Skegness RNLI for 39 years, and the naming coincides with RNLI being LACE Housing’s chosen charity for 2017. Members of Ron’s family were in attendance at the official opening ceremony on 12 September. The scheme was made possible thanks to grant funding which was secured and administered by Blue Skies Consortium. Development consultancy POD provided project management. It’s LACE Housing’s first new scheme in Skegness for 20 years, and replaced a former care home which had been derelict for two years. Situated close to the seafront and within easy reach of a wide range of local amenities, the accommodation is in an ideal location for residents and holidaymakers alike to access the historic seaside town. As part of the unveiling, Chief Executive of LACE Housing Nick Chambers welcomed more than 70 visitors to the site, as well as representatives from funders East Lindsey District Council, the Homes and Communities Agency and the Herbert William Sollitt Memorial Trust. 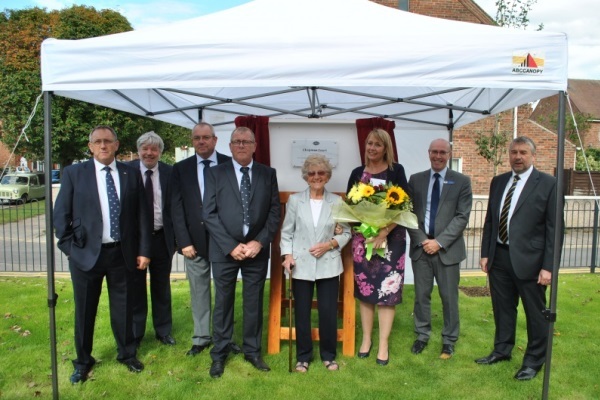 David Dexter, Vice Chair of the Greater Lincolnshire Local Enterprise Partnership, which provided a grant to help fund the new development, said: “I was very pleased to be able to join LACE Housing in celebrating the opening of this development. The design and construction of the new premises was carried out by Lincolnshire construction company Lindum. 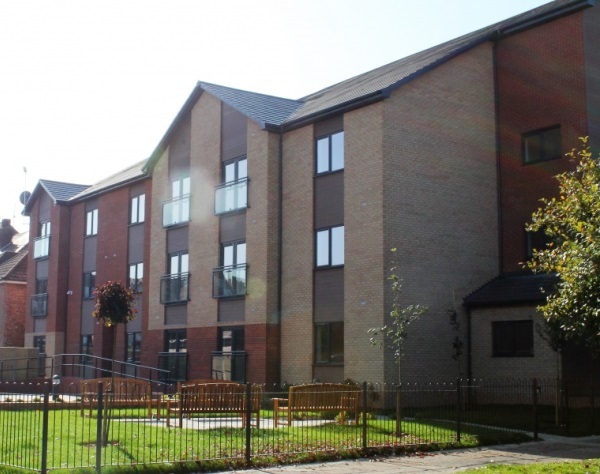 Lindum has worked in partnership with LACE Housing on other projects, and has gained a detailed understanding of its residents’ specific requirements. This knowledge and experience enabled Lindum to deliver quality, bespoke accommodation designed to meet the needs of older people. Simon Gregory, Managing Director of Lindum Construction, added: “We are delighted to have played a major role in the creation of this purpose-built accommodation which will be enjoyed by residents for years to come, and which has made a lasting improvement to the area. Nick said: “Not only is this new scheme innovative, but it was made possible by a unique collaboration of interested parties and I’m delighted to have been able to incorporate our first ever holiday apartment within it. “We recognised a need for holiday accommodation along the east coast following a consultation with our residents, many of whom have fond memories of daytrips and family holidays to Skegness. “We have already welcomed our first guest and have received several bookings so it is already proving popular among Lincolnshire residents looking for a seaside retreat.